Medical Conditions Armstead is diabetic. Her jaw was broken at the time of her disappearance and was wired shut as a result. Distinguishing Characteristics African-American female. Brown hair, brown eyes. Armstead goes by her middle name, Shay. Her ears are pierced and she has a gold tooth (her right lateral incisor). She has the following tattoos: a heart on her left breast, a blue rose on her right arm, a rosary around her upper left arm, three bears on her left shoulder blade and a panther on her leg. 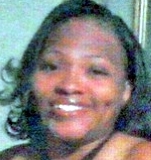 Armstead was last seen in the 4200 block of Springleaf Lane in Memphis, Tennessee at 11:00 a.m. on July 28, 2012. She has never been heard from again. On July 31, her black Acura TL with the Texas license plate number M05 VXZ was found abandoned and burned in a rural area near Little Simmons Road in Clarksdale, Mississippi, about an hour from Memphis. Armstead's estranged husband, Tony Bledsoe, is a person of interest in her case. There was a history of domestic violence in their relationship and they were going through a divorce. 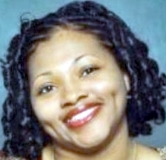 Armstead was in the process of moving from Memphis to St. Louis, Missouri at the time of her disappearance; she had decided to relocate to get away from Bledsoe after he broke her jaw. Armstead had an order of protection against Bledsoe and after she disappeared, police arrested him for violating it. This was because, although the order required him to stay away from her, she was seen twice with him on the day she disappeared. It's uncharacteristic of Armstead to leave without warning, and her family doesn't believe she would have abandoned her three sons. Foul play is suspected in her case, which remains unsolved. 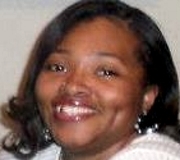 Coahoma County, Mississippi police are investigating Armstead's disappearance.